WE ALL PLAY A ROLE. PREVENT CHILD ABUSE. 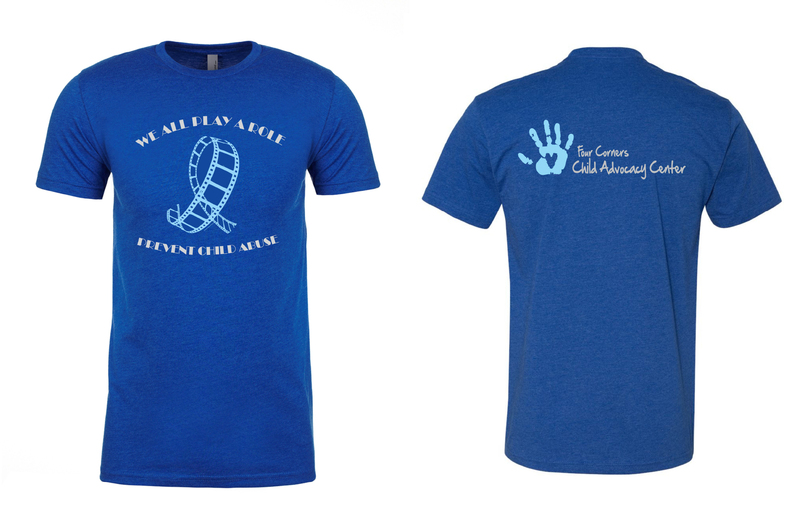 Pre-order your 2019 GO BLUE shirt today. Contact us at the Four Corners Child Advocacy Center for any questions. Pre-orders will be taken through March 30. 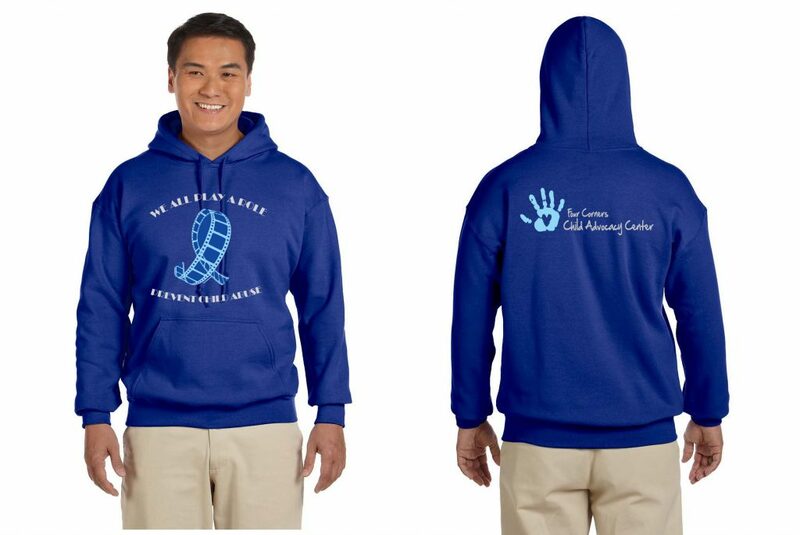 Gildan Heavy Hoodie $35/each (add $2 for XXL and $4 for XXXL) Both Youth and Adult sizes available. HOODIES WILL ONLY BE AVAILABLE THROUGH PRE-ORDER. WE WILL NOT KEEP HOODIES IN STOCK. To pay by credit card/paypal, complete the form below. To pay by cash/check, contact Nicci at the Four Corners Child Advocacy Center. Order your GO BLUE shirt for April.